The Green Phone Booth: "Peas, not petunias"
How do we get good food to our tables? On Wednesday evening, I hopped on two buses and headed to a panel discussion titled "Getting Good Food to Our Tables". Over the course of two thought-provoking hours, we heard from the executive directors of two local mission-based CSAs and a volunteer from our local Extension Service's food gardening network. The introductory remarks brought us heart-warming anecdotes of learning about history through eating the impressive, organically-grown produce from a museum garden, of developmentally-disabled adults finding meaningful community connections (and better nutrition for themselves) through farming, and of the unparalleled pleasure and pride of eating food harvested from your very own garden. The health benefits from this consuming such good food almost went without saying - this was a committed audience, fully appreciative of nutrient-packed greens; crisp, just-picked apples; and sun-warmed-off-the-vine tomatoes. 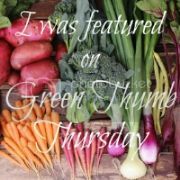 Then, our discussion took a tack, exploring that at the intersection of our tummies and the healthy food we want to put into them lies... an opportunity for putting our mouths where our money votes are. For example, we heard that officials are busy working on creating markets for healthy food, but... that expanding access to healthy food is actually not about markets. (As the Green Phone Booth community can attest, getting a CSA slot or scoring delectable raspberries at the farmers' market can be pretty darned challenging because there are quite a few folks vying for them! And, one speaker told of an area food bank, eager to buy as much fresh, healthy goodness as his farm could provide.) Instead, the shortage is on the production side: there are not enough farmers. The kicker is that there are young people interested in farming (and to be sure, less younger ones, also! ), but access to land is all-to0-frequently a deal-breaker. Buying land is expensive, and coming up with the necessary dough can be nigh unto impossible. We talked about fact that growing healthy soil is at the heart of producing healthy food. Together, we recognized what hard work that is, how the time to achieve fertile soil is measured in years, and that only long-term land-use arrangements create the conditions to make this feasible. Engage in food activism, for which the timing has rarely been better - talk to politicians about things like "growing more farmers" and "relocalizing food", using and reinforcing terms which have emerged in the national vocabulary. Encourage them to support ideas like long-term leases of public land to smaller-scale farmers. Envision food growing in less conventional places. Adopt Woody's motto of planting "peas, not petunias." What if your community's maintenance crew went from tending lawn to cultivating an edible landscape? Educate yourself about your foodshed. Grow something, whether you have an acre, a yard, a sunroom, or even a windowsill. Experience the transformative nature of growing food. Share something - a vegetable from your plant(s), seeds you've saved, a meal you've prepared, a story, etc. It was wonderful to run into you at the talk. Great post! I can't wait to hear more about your experience with No Impact Week. I love the idea of using those food related words with our politicians. While other areas of the environmental movement are faltering, the food movement is moving full steam ahead. Personally, I think it is the key to so many other pieces of the environmental movement - and a tasty way to get people involved. Lots of great info here - especially the bit about needing more farmers. I got to hear Will Allen speak earlier this week on a similar subject. He is so amazing! I have a small garden and we froze quite a bit of produce. Next year I'm expanding - more space for tomatoes, and more freezing of goodies from the Farmers' market. Why didn't I discover how easy, delicious, and nutritious this could be -- many years ago? @Green Bean - you are so right. Food is a central element in numerous ways. @Erin - Thanks! How wonderful to have the message going out in multiple locations via charismatic speakers! @Daisy - Better later than never. ;-) I'm with you... we've had some mass production of apple sauce happening here, with an embarrassingly simple list of ingredients, awesome taste, and... extreme ease of "manufacture". If only we'd stocked up on more canning jars! Antiques aren't just for Grandma anymore. Are You Smarter Than a Tenth Grader? The scoop on recycling glue sticks!